Enjoy a four-course, family-style meal prepared by some of Sonoma County's best local chefs at the Heritage Turkey Sunday Supper. There are Thanksgiving turkeys, and then there are the heritage turkeys of Sonoma County, raised and savored for their rich, succulent meat and premium, sustainable quality. Compared to “factory farm” raised birds, heritage turkeys are Wine Country royalty — pampered with organic feed, pasture freedom, and personal care from their handlers. You can experience the difference for yourself on Nov. 4, 2018, at the Heritage Turkey Sunday Supper being held at Atwood Ranch in Glen Ellen. Hosted by Slow Food Russian River and Julie Atwood Events, the afternoon features a wine reception, chef-catered dinner, and live and silent auctions to raise funds for Sonoma County’s agricultural programs. 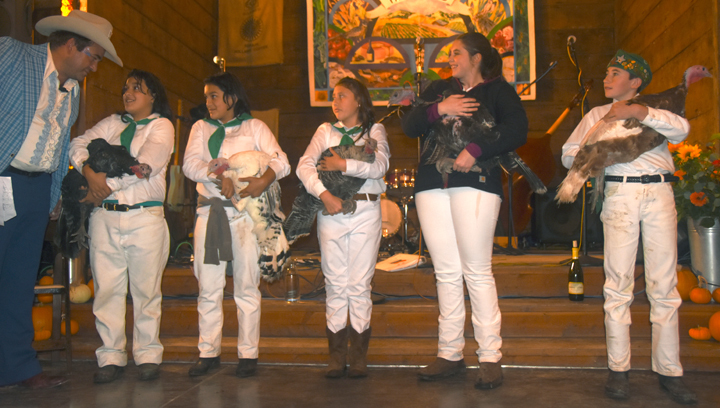 Things kick off at 3 p.m. with a Farmyard Reception, where guests will mix and mingle with youth members of the Sonoma County 4-H Heritage Turkey Project, showing their prized birds and explaining how their poultry is pampered. And these are truly happy turkeys — at previous events, several birds actually curled into their owners’ arms, hugging themselves into the owners’ bodies and practically falling asleep in contentment. 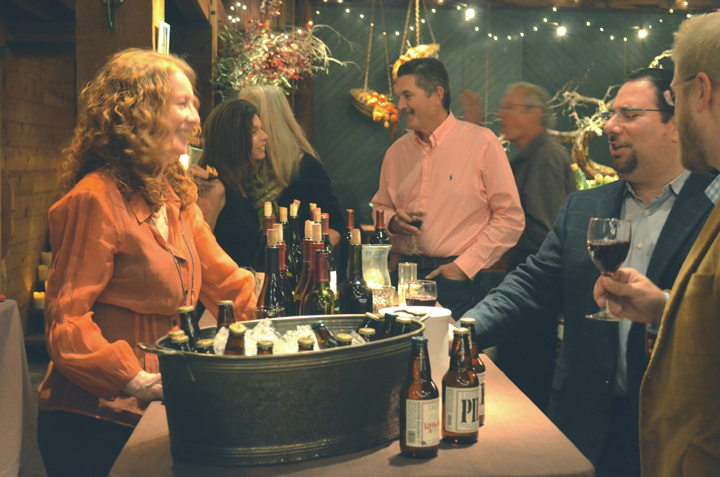 Also in the crowd: dozens of local chefs, purveyors, vintners, and brewers, many of whom will be serving their hors d’oeuvres, wines, and beers. Then, it’s on to dinner, a four-course, family-style meal prepared with local ingredients by local chefs including: Daniel Kedan of Backyard; John Stewart and Duskie Estes of Zazu Kitchen + Farm; Bryan Jones, recently retired executive chef at St. Francis Winery & Vineyards; Worth our Weight executive chef Robb Ledesma, and pastry chef Condra Easley of Pâtisserie Angelica. The ticket and auction proceeds go to very worthy causes, too, including Sonoma County 4-H Heritage Turkey Project youth farmers, Slow Food Russian River, the Worth our Weight Culinary Internship program, and Sonoma County Farm Trails Agriculture Scholarships. 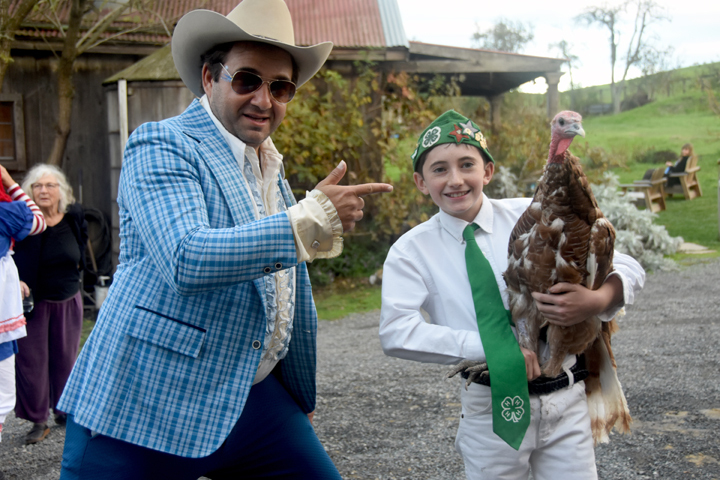 Raising the turkeys is a labor of love for the 4-H kids. Young members of the agricultural community buy their own feed and raise the young turkeys to maturity for the Thanksgiving market. Some of the project members even have raised breeding pairs and hatched their own healthy birds. The project, launched by Slow Food Russian River in 2006, has raised more than 2,400 turkeys to date. As a finale, the event also includes a live heritage turkey auction. Details: 12099 Sonoma Highway, Glen Ellen, 707-318-7526. Tickets start at $100; click here to purchase.